Seattle Times readers named it their favorite pizzeria in the city, and now the owner says he can produce more of the deep-dish favorites. 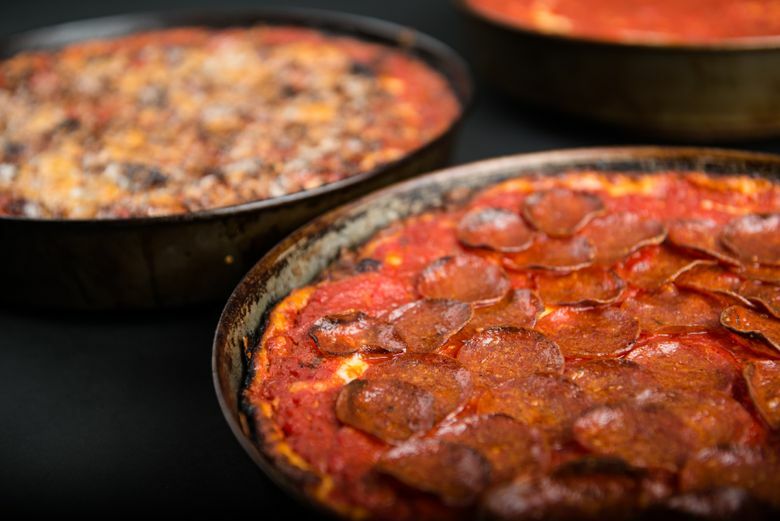 Your chance to order a deep dish from the popular Windy City Pie just got a lot easier. Named by Seattle Times readers as the best pizza, Windy City Pie just moved to Interbay to share space with current tenant Batch 206 Distillery. Owner Dave Lichterman said his operation passed the final health inspection this morning, and that he’ll start taking orders at his new location this Saturday, just in time for all your football-related parties. Even better, Windy City Pie is now next to Holy Mountain Brewing, arguably the best new brewery in the state. And yes, Holy Mountain allows you to bring food into its tasting room. Your beer-and-pizza universe could not have aligned any better. The bigger kitchen and upgrade in the quality of the oven Lichterman said means he can crank out more and better pizzas than when he was working out of his modest commissary in SoDo. Lichterman purchased the oven used by James Beard nominated chef Mike Easton at the now closed Pizzeria Gabbiano. Lichterman sounded giddy over his new toy, saying the new industrial oven won’t dry out his tomato sauce like it did sometimes in the old oven. To the uninitiated, Windy City Pie is technically a catering business and not a restaurant, so you have to place your order online. There’s no walk-up window and delivery service is limited. Just like at the old location, you’ll have to pick up your pie at a prearranged place, most likely at the distillery parking lot until Windy City Pie can iron out the pick-up logistics.